MOVING TIP: You can easily obtain all of your packing supplies from our residential moving company. The key to successful packing is sorting breakable from non-breakable belongings. Breakable items have to be packed differently to make sure they are well protected throughout the move. Some people mistakenly assume, with local moves, that they do not have to be as careful with fragile items. However, they quickly discover their mistake when they start opening boxes and unpacking. You will also want to make sure your furniture and other larger items are properly protected. Your mover will be happy to discuss different options and methods they use for these items, including sofas, dressers, china hutches, dining room tables, and pianos. Tip #1: Avoid using the biggest boxes possible. Logic might dictate that, since you are protecting your breakable items, you can use the largest moving boxes you can find. The problem with this is the more items in the box, the more they can move around, shift, and potentially break. It is better to use smaller boxes so there are fewer items per box. This will help better protect the items and avoid accidental breakage. 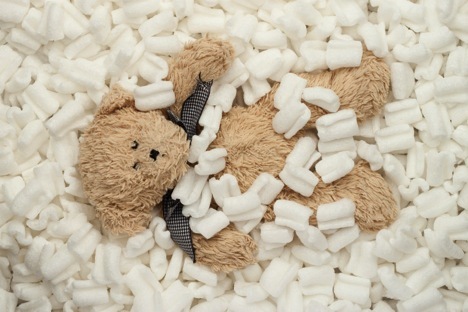 Tip #2: Create a staging area for packing fragile and breakable items. You will find it is easier when you have a specific area to pack up your smaller breakables. For instance, you could use your dining room table. Place or stack up the items you need to pack on part of the table. Set a box on a chair next to you. 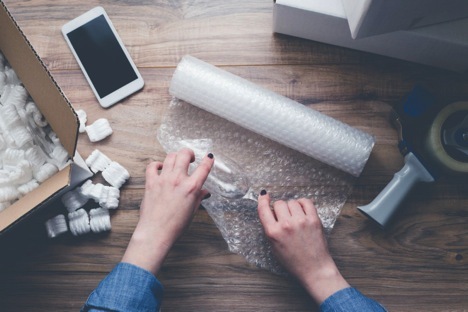 Wrap the items in bubble wrap, and then, using the layering method, pack them into the box. Tip #3: Do not over-pack boxes. Another issue that can cause damage to fragile items is when you try to force too many into a box. The added pressure this places on the items, even though they are protected, could easily cause them to break. While you do want to fill the boxes up as much as possible, you should leave a little room at the top for sealing the box up so it does not bulge. Tip #4: Do not under-pack boxes. Another mistake some people make is only putting one or two breakable items into a box and leaving it half empty. Unless there is sufficient padding put into the box, there is too much excess room for items to move around. 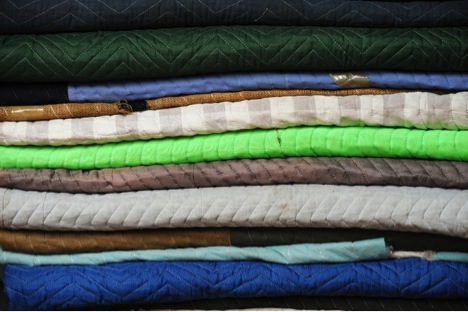 Tip #5: Pack boxes using the layering method. Start off by putting a layer of Styrofoam peanuts into the bottom of the box. Next, wrap the fragile item in bubble wrap. Make sure to use a few layers so it is well-protected on all sides. Lay the item into the bottom of the box. Make sure the item does not touch any of the sides of the box. Add another layer of Styrofoam peanuts and repeat. The top of the box should be filled with Styrofoam peanuts and be the final layer. Tip #6: Get help from your residential moving company when packing antiques. If you have antiques and other fragile family heirlooms you need to pack, talk to your residential moving company before packing them. Your movers understand how important these items are to you and often have effective methods for ensuring they arrive safely at your new home. For instance, your movers may offer professional packing and crating services, where they come into your home a few days ahead of the move, to pack up delicate items you are not sure how to pack, and to crate larger antiques and fragile items. Tip #7: Label all of your boxes with the contents and which way is up. In addition, draw arrows that are easy to see on the sides of the boxes that point which direction is up. Last, take a dark red marker and write in big, bold letters, “FRAGILE” on each side of the box and on the top. Tip #8: Do not stack heavy boxes on top of those with fragile items. As you are packing, it is easy to get distracted and start piling boxes one on top of another. Be careful to not stack heavier boxes on those with fragile items. You can stack up your packed breakables; just make sure the heaviest boxes are on the bottom and the lightest ones on top. Tip #9: Keep fragile and breakable items separate from your other items. You should create separate stacks for fragile and breakable items in their own area apart from the other items you have packed. Doing so makes it easier on moving day. You will be able to let your residential mover know specific boxes contain delicate items. Plus, your movers will appreciate not having to sort boxes as they are loading up the truck. Tip #10: Move jewelry, smaller antiques, and other such items yourself. If you have a bunch of small breakable items and valuables, these are best moved in your own vehicle. If you don’t have a car, consider renting one on moving day or asking a friend if they can come help you move a few things to your new home. MOVING TIP: If you are moving long distance and flying, check with the airline about its carry-on policies and whether any items may be prohibited. If there are some you have to send with the mover, make sure they are properly insured. Wrapping and padding larger items and furniture. Adding an extra layer of protection by using a sufficient amount of furniture pads. Securing large items and furniture in place on the truck using moving straps. Using padded “bumpers” on all the doorways in the home and our moving equipment, when necessary. Using the right size and type of moving equipment to carefully load and unload your property. Taking the time to correctly pack and load the truck so delicate and fragile items are packed on the top, not the bottom. Even if you have a small apartment, you don’t have to worry about your breakables or other belongings. We have several different sizes of trucks and will use the one that best fits your moving needs and requirements. Should there be space left over in the back of the truck after loading it, we use various moving straps and other equipment to prevent them from moving around while being driven to your new home. Our goal is to make your move as stress-free and enjoyable as possible! To request a free quote for local or long distance moves, or for both moving and storage solutions, please feel free to call Midway Moving & Storage, the proud movers of the Chicago Cubs, at (773) 588-7000 now!